All Prawec 8c pictures belong to Alberto Cavalcoli. Inside the Prawec 8C. 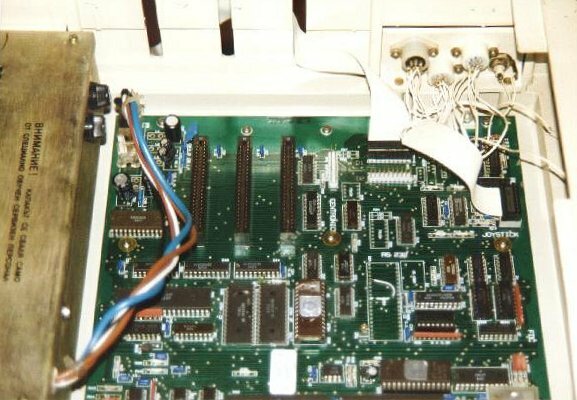 You can see the 3 expansion slots and the mess of cables of the outside ports. The power supply. It is not a switching one, but it is a classic heavy power supply. 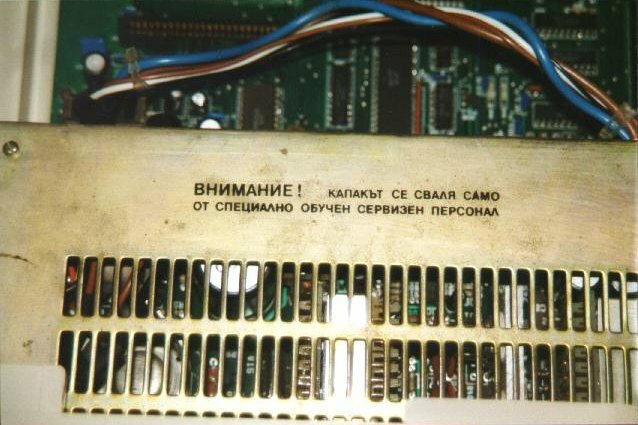 The keyboard with the cyrillic characters, available setting a jumper on the motherboard. 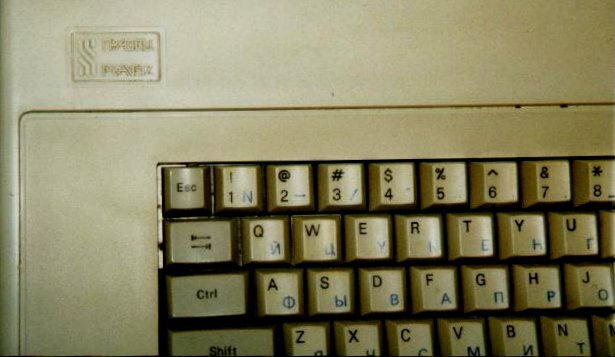 A keyboard detail with the Prawec or Prawetz logo. 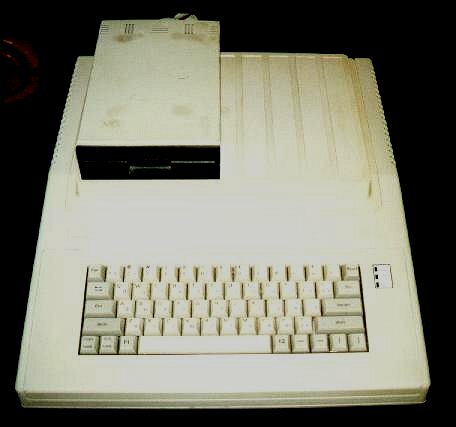 Prawec 8c - The bulgarian Apple II !